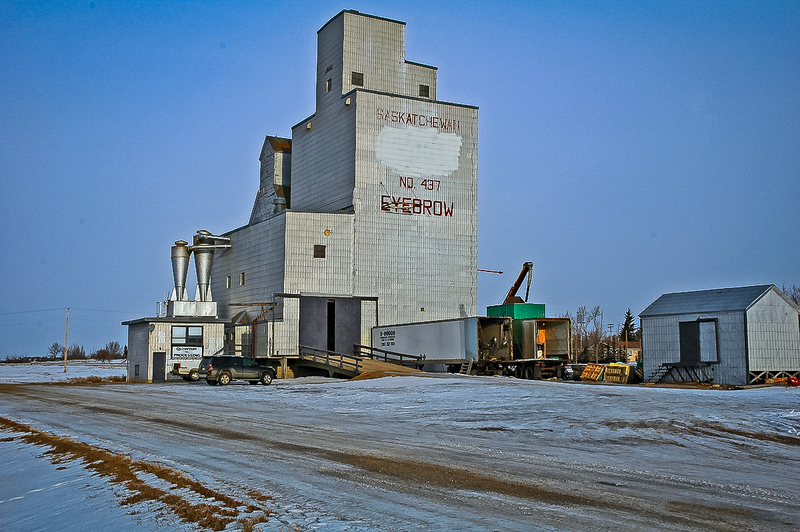 A former Saskatchewan Wheat Pool grain elevator in Eyebrow, SK, Jan 2007. Copyright by Gary Rich. There are two ex Saskatchewan Pool grain elevators in Eyebrow, Saskatchewan. 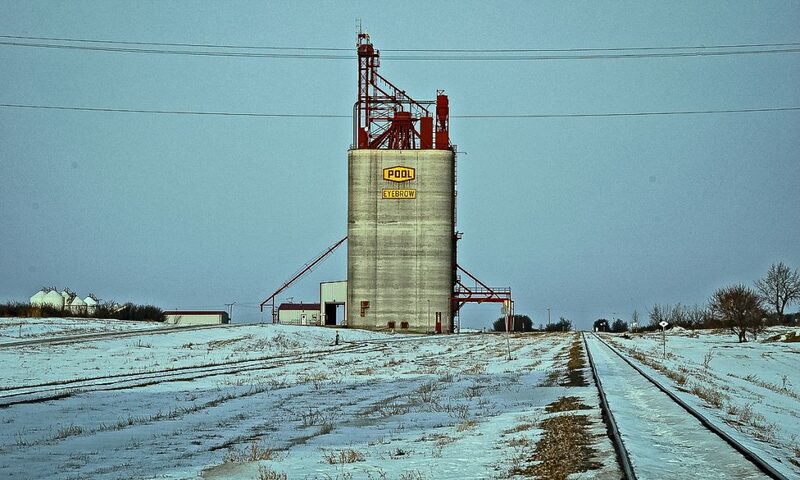 There is a concrete elevator, owned by Viterra, as well as a twinned elevator that is privately owned. The older elevator has a newer elevator that uses an older elevator as an annex. It is used for lentil storage. A concrete Saskatchewan Wheat Pool grain elevator in Eyebrow, SK, Jan 2007. Copyright by Gary Rich. Viterra has announced that they will close the Eyebrow, SK elevator in the spring of 2018.